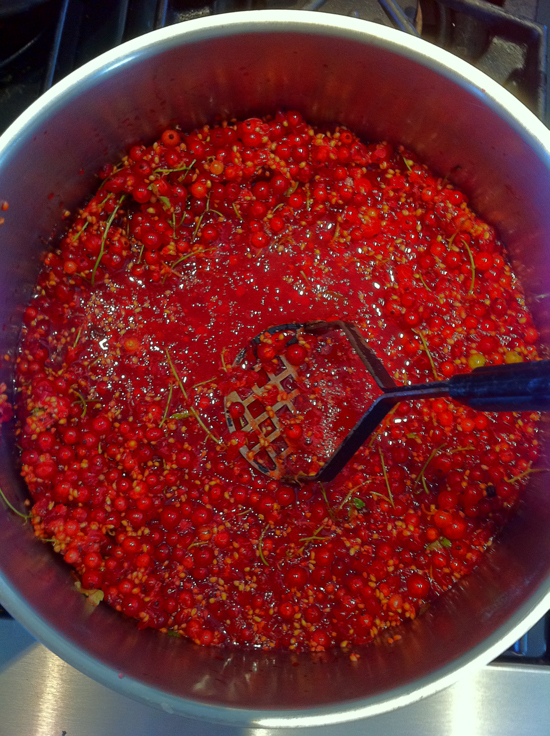 Place the currants into a large pot, and crush with a potato masher. Pour one cup of water, and bring to a boil. Simmer for 10 minutes. Strain fruit through cheese cloth, and measure out 5 cups of juice. 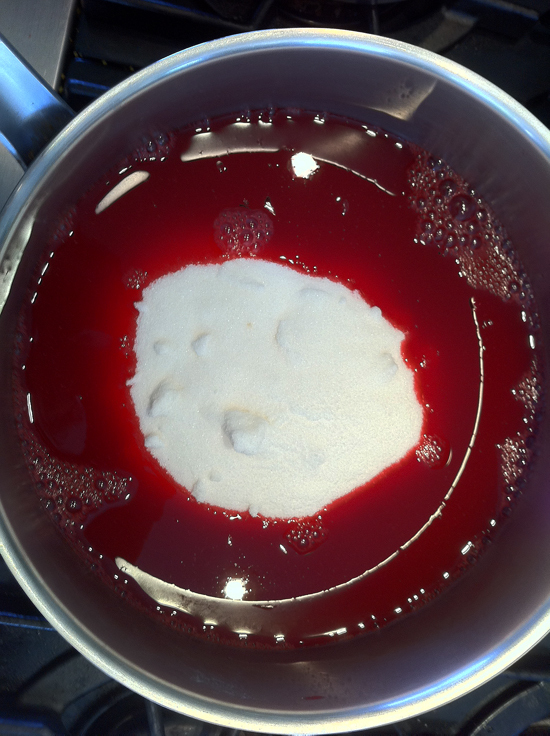 Pour juice into large saucepan, and stir in the sugar. Bring to a rapid boil over high heat, and stir in liquid pectin. I choose not to add pectin because I am after a more intense currant flavor. 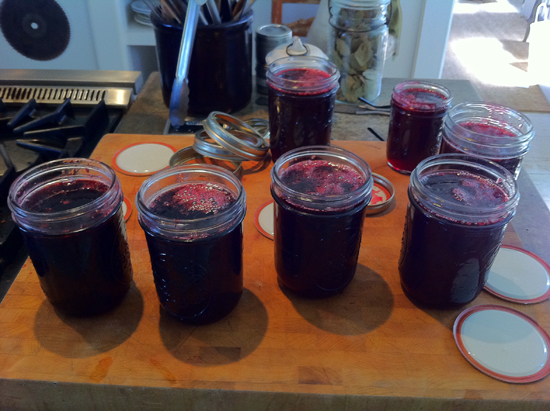 I reduce the liquid by 1/4 of the amount to make a very intense currant jam. Remove from heat and skim off foam from top. Ladle or pour into pint jars, filling until ½ inch of the top. Wipe the rims with a clean damp cloth. Cover with sterile lids and rings. Process covered in a bath of simmering water for 25 minutes. 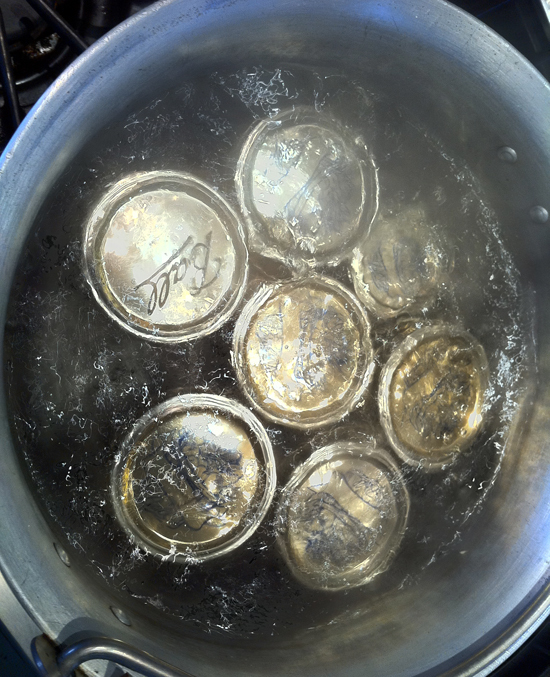 When jars cool the lids should seal tightly. You can then add 2-3 tablespoon when making gravy for roast chicken, lamb, or venison. It’s a nice sweetener for sauces or spread on toast. 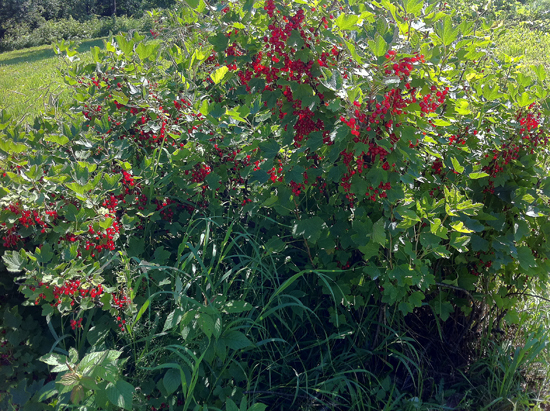 Collected berries are mashed with potato masher- leave stems on. 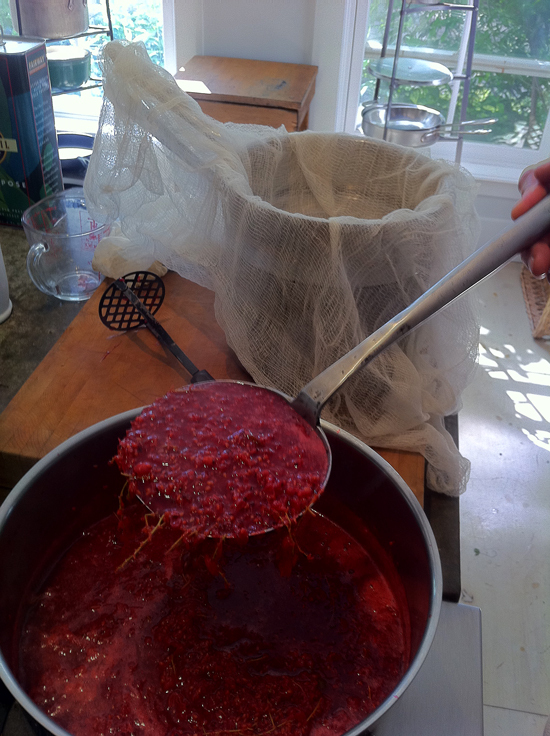 cooked fruit is then strained through cheesecloth- remove 5 cups of liquid.